A good credit score means that you pay your bills promptly and if you do that your suppliers will be happy to do business with you. You can apply the same logic to the businesses you deal with. If they have a good credit score, you know that they will probably pay your invoices on time. Ensure that you check their credit score before signing any contracts with them. Conversely, if you don't pay your bills on time and constantly have to be chased up then your credit rating will suffer. And if your suppliers have a history of late payment their credit score will also be affected. How are business credit scores worked out? Many companies create credit scores and they each have their own proprietary system for doing it. This means that your business will have several credit scores and you will not know how any of them were calculated. However, there are some basic criteria and rules that are followed in developing all credit scores and it is important that you understand them. Most credit scoring companies are linked to debt collection services, so they know who does and who does not pay their bills. Be aware that you could be reported to a credit scoring company by somebody who is not satisfied with how quickly you settle your bills. OK, so how on earth do you go about improving your business credit score when you don’t really know all the things that go towards it? Here are some of our tips that will help to ensure your business is not red-flagged to lenders or other businesses. 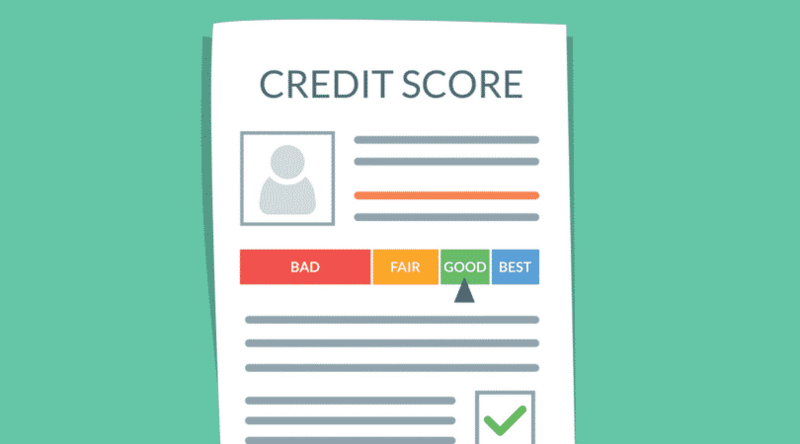 If your rating falls, contact the credit scoring company immediately to find out why - they are legally obliged to tell you why. a vendor reported you for withholding payments for legitimate reasons such as invoice disputes – again, you can get this corrected. Your credit score doesn’t need to be a four out of five, or 75 out of 100 – so don’t worry about a few points here and there. Most businesses will be happy to work with you so long as you’re not in the bottom quarter. Most of your business credit score will be influenced by on-time payments. Set up a good accounts payable system so that you know when your bills are due. Use accounting software to automate payments - by doing so, it means that you will not forget. Keep an eye on cash flow,so you can see if you’re going to struggle to make payments. It stands to reason that almost every business will struggle with cash flow or even run out of money from time to time. If it’s affecting your ability to pay bills, don't bury your head in the sand. Contact the people you owe money to and explain the situation to them. If you have kept them in the picture they are unlikely to report you to a credit scoring company if you explain why you are going to be making a late payment and tell them when you will be able to pay your bill. Credit scores work both ways. You can use them to protect your business from bad debts, too. Check out the credit score of clients new and old, and take steps to control risk. When you start keeping track of your credit score, you will quickly discover just how hard it is to get a really good one. Try and keep some perspective when reviewing the scores of the businesses you deal with. If you find that an existing client has a poor credit score, don’t panic. Your personal experience of them is what really counts. You only need to worry if their score is trending consistently downward. You don’t need to turn away businesses with bad credit scores. You can still do a deal, but it makes sense to structure the agreement differently. Set shorter due dates so that you are not extending them as much credit. Ask them for an upfront deposit. Businesses that consistently pay late will put you under cash flow pressure and could even threaten the very future of your business by diminishing your ability to pay bills on time, and that will affect your credit score. Ensure that you are not overly dependent upon businesses that keep you waiting. Gradually try to cycle late-paying clients out of your business. There is no getting away from it - much of your credit score will come down to your cash flow. If you run out of money, you will miss payment deadlines and your credit score will suffer. You’ll take a great deal of pressure off yourself if you are paid on time. Definitely think about your invoice payment terms and look at how online accounting can help you stay on top of accounts receivable. Try to be strategic about when you spend money. Consider setting rules around how low you allow your bank balance to get. Accountants etc. can help you decide what makes sense for your business. The calculations behind credit scores are complex. However, the basic principles of protecting your business credit score are not. Pay your suppliers on time by making sure you keep a reasonable cash reserve in your business. Making sure you get paid on time will also help. Good invoicing systems and accounts payable practices are vital to all this.